Have you ever wondered why people have their carpets professionally cleaned? It’s pretty simple – you just need to see the amazing results that a professional carpet cleaner can bring and you’ll wonder how you went without it! Hook Cleaning Services offer carpet cleaning in Hampshire and all the surrounding areas, keeping your carpets looking their very best. We’re your local specialists, on hand to shift those stains and bring your carpet back to its very best condition. Your carpet puts up with a lot of wear – grubby footwear, pets, kids, and tough stains make contact with it every single day. You can vacuum clean it, and spot-clean any messy spills, but 85% of dirt within your carpet lurks beneath the reach of domestic cleaning products and vacuums. For a seriously deep clean, you need the equipment which only a professional can offer. Having a carpet professionally cleaned can also bring it back to life… In fact, research by the National Carpet Cleaners Association (of which we are proud to be a member) found that the life expectancy of a carpet can doubled with regular professional cleaning. Ground in dirt and grime, flattened pile and increased maintenance can mean that you’d throw out a perfectly good carpet which only needs a little TLC from our experienced staff. 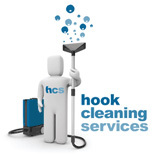 If you’re looking for the best carpet cleaning Hampshire has to offer, call Hook Cleaning Services on 01256 533599.